Aston Martin Vulcan Pro AMR is what dreams are made of! That headline might seem too dramatic but that is the exact reaction when you hear about an automobile making 4,000Nm of torque. The Aston Martin Vulcan is a lightweight, track-only limited-edition car which arrived in 2015. The amount of tech that makes it a hyper offering is insane. However, Aston Martin wanted to push its limits to the extreme. 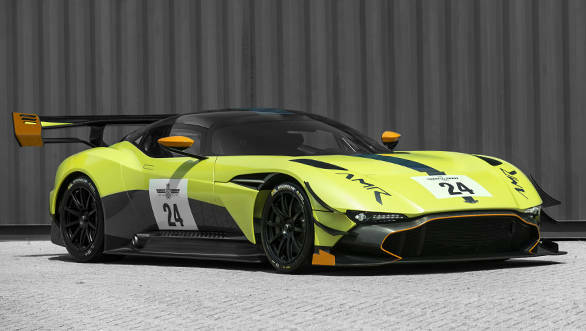 And the result of that is the Aston Martin Vulcan Pro AMR, a performance package that will be offered only on the 24 units that was sold in 2016. The Aston Martin Vulcan Pro AMR had made its appearance at the Goodwood Festival of Speed. The changes done include extensive aerodynamic enhancements and shortened gearing to produce increased downforce, greater responsiveness and reduced lap times, states Aston Martin. 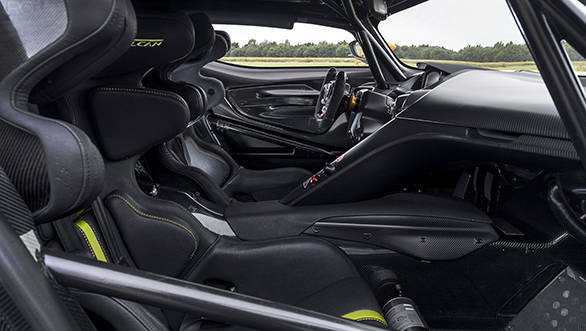 The British carmaker also claims that all these changes make the Aston Martin Vulcan one of the world's most extreme and exclusive track cars. The list of enhancements that the Aston Martin Vulcan Pro gets is a revised front end with the new panels added above the front wheel arches to channelise the airflow and reduce aerodynamic lift. The nose section too has been tweaked to help keep it pinned while driving on the track. Additionally, the huge front splitter too has been altered that now contributes to a better steering response. Aston Martin engineers have also worked on the weight of the hypercar and that has resulted into making the car lighter by 5kg. The rear too sports a new wing which sports dual plane design, rather than the original single plane of the regular model. Aston Martin tells that all the aerodynamic changes have increased the already insane torque output of 3,150Nm to 4,000Nm. The aero changes improve traction, steering response and front-end grip of the car, mentions the company. The power figures remain unchanged at 850PS which, what we believe, is sufficient to carve corners on the racing track. 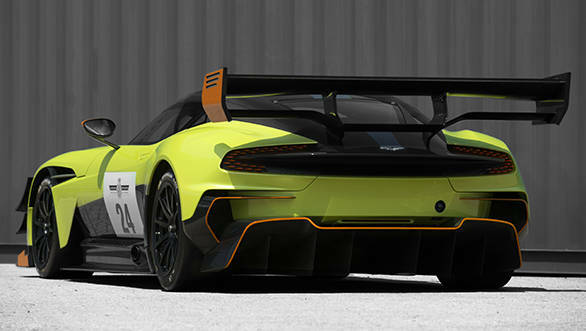 Aston Martin has not announced the prices of the Pro AMR package for the Vulcan. However, the regular model is worth $2.3 million. If someone can afford that, going a bit further for the spicy garnishing should not be an issue.